Ryan first mentioned the allegation during Monday night’s gubernatorial debate with Blagojevich in Rockford. “After the Rockford debate, our campaign charged my opponent with accepting — he and his father-in-law Alderman (Richard) Mell — accepting 74 percent of the contributions from the Coalition for Better Government,” Ryan said. The coalition is headquartered in Chicago’s Belmont Heights neighborhood. According to campaign disclosures from the state of Illinois, the group was started in 1987 and says its purpose is to “support qualified candidates for better government.” Both Blagojevich and Mell are listed as honorary chairmen of the group, among a list that includes both Democratic and Republican politicians. The same disclosure reports list Dominic Longo as the coalition’s treasurer. Longo entered a guilty plea to charges of voter fraud in the mid-1980s. 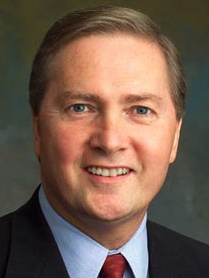 John Boyle, the coalition’s director of special events, was convicted in 1992 of stealing money from the Illinois State Highway Authority. “Rod Blagojevich wants to tell voters that he’s going to clean up state government, and these are the kinds of people he hangs around with?” Ryan said at a news conference Tuesday. Ryan accused Blagojevich and Mell of accepting a combined $47,000 from the coalition. At a news conference Monday, Blagojevich said he returned the money he received from the group. Last Wednesday, Ryan accused Blagojevich of ethics violations when he worked for the city of Chicago. He alleged that his opponenet “represented clients against the interest of the city” while a city employee. He also claimed that Blagojevich denied working at the city’s Legislative Reference Bureau, while a 1996 Chicago Tribune story quoted a bureau employee praising Blagojevich’s work there. The Blagojevich campaign did not respond to phone calls by press time Tuesday. In a statement released Monday, the U.S. congressman’s campaign criticized Ryan’s recent statements.